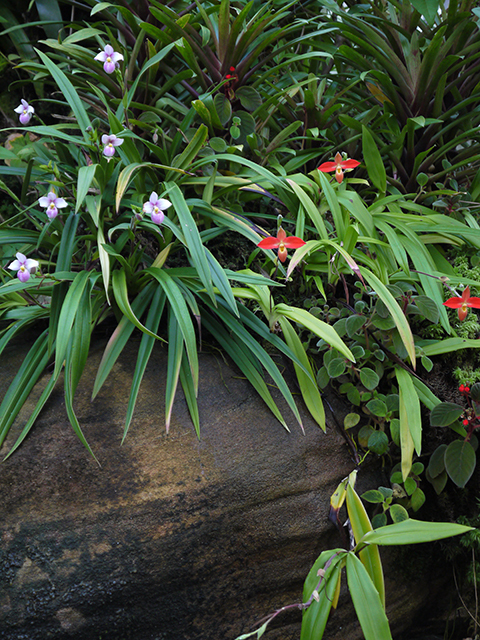 Now is a great time to see Andean Slipper Orchids in full bloom in the Tropical High Elevation House. 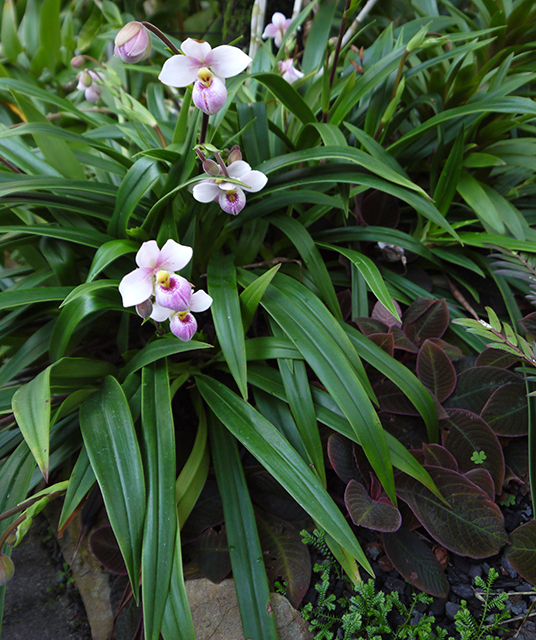 The Andean Slippers Phragmipedium schlimii and P. besseae are two of the tropical counterparts of the familiar north temperate slipper, Cypripedium. 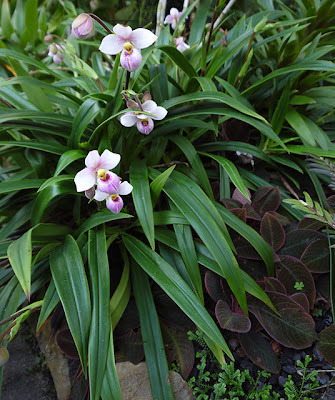 (The other tropical slipper genera are Paphiopedilum, Mexipedium and Selenipedium.) In total there are about 20 species of Phragmipedium (pronounced frag-mih-PEE-dee-um) ranging from Mexico through northern South America. Andean Slippers grow in the splash zones around waterfalls, along flowing streams and in rocky seepage areas on cool slopes in Peru, Ecuador and Colombia. 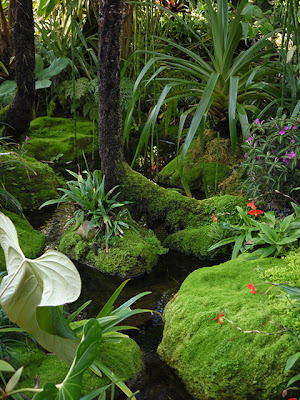 We created the waterfall and the flowing stream in the Tropical High Elevation House in order to provide suitable growing conditions for these orchids. They are wonderful!